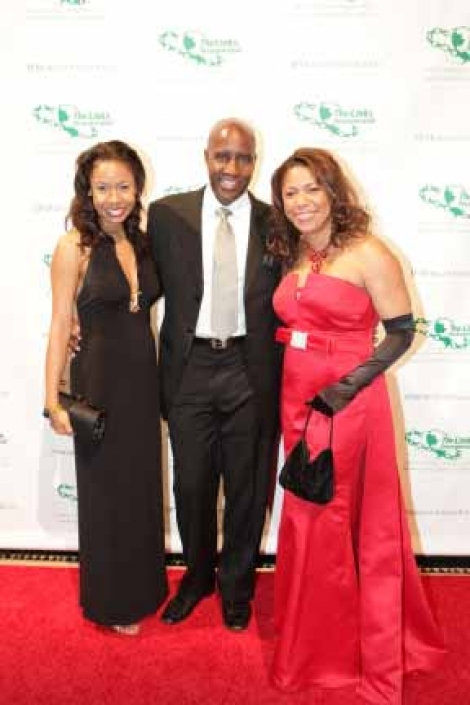 NEW YORK, December 10, 2012 – In a celebratory afternoon affair, The Metro-Manhattan Chapter of The Links, Incorporated honored JP Morgan Chase for the firm’s philanthropic investments at its ninth biennial gala on December 9 at Cipriani 42nd Street in New York City. JP Morgan Chase received the 2012 Corporate Award for the firm’s commitment to meaningful and sustainable change in the highest-need neighborhoods and communities across the globe. The gala theme was “Realizing the Dream: Celebrating Excellence in Education and Leadership”, a tribute to the chapter’s work and accomplishments in serving the Greater Harlem community, as well as the impressive track record of JPMorgan Chase’s philanthropic investments in Harlem and worldwide. “Leading with excellence, serving with grace and the Metro-Manhattan Links’ theme, “Celebrating Excellence through Education and Leadership, are exactly what we are striving to achieve philanthropically in our firm so we can then leverage the assets we build in communities to create demand for and deliver the full capabilities of our business,” said Kim Jasmin, who accepted the award on behalf of JPMorgan Chase. More than 600 distinguished guests from New York City’s arts and entertainment, financial and political sectors attended the gala. The gala began with an elegant cocktail reception, followed by dinner and dancing. Guests bid on silent auction items ranging from Broadway tickets, museum memberships to in-home gourmet catering. “I'm deeply grateful for the generosity of each and everyone in this room and beyond. 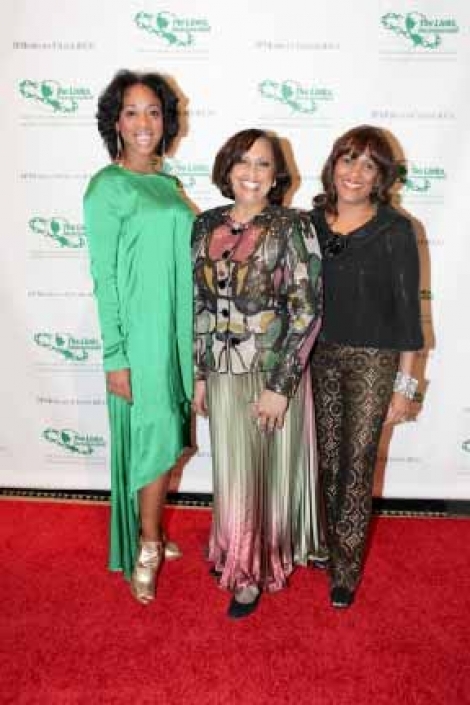 Your support goes towards improving the quality of life for children and families in the village of Harlem,” said Inez N. Richardson, chapter president and Gala Honorary Chair. Gala proceeds will support the chapter’s hands-on programs and initiatives to prepare students for college-readiness, reduce health disparities, advance arts education and build leadership in the Greater Harlem community. 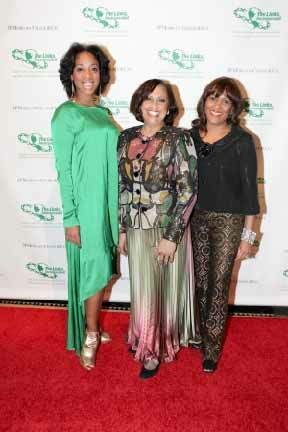 Gala attendees included Rep. Charles Rangel; Rev. Al Sharpton, activist and MSNBC contributor; Darryl C. Towns, CEO, NYS Homes and Community Renewal; Rosalyn Brock, NAACP Chairman of the Board; Earl Graves, Sr., founder and publisher of Black Enterprise magazine; George Faison, Tony Award winning choreographer and former Alvin Ailey dancer; Kathleen Battle, opera singer; Brenda Blackmon, anchor of WWOR-TV; Barbara Smith, restaurateur and lifestyle expert; b Michael, fashion designer; and Rev. Franklyn Richardson, Sr. Pastor, Grace Baptist Church; H. Carl McCall, former NY State Comptroller; Bill Thompson, former NYC Comptroller, Michelle Paterson, former First Lady of New York; Arva Rice, president, NY Urban League, Len Burnett, Co-CEO, Group Publisher at Uptown Media Group, among other guests. LaShann DeArcy Hall served as the Gala Dinner Chair. The Honorary Committee were Monica Azare Davenport, Kimberly Davis, Hazel N. Dukes, Caroline Taylor Ellerson, Toni Fay, Carla Harris, Brenda Neal, Chrystie B. Price and Danyale Price. The chapter’s parent organization The Links, Incorporated is an international, not-for-profit corporation, established in1946. Working closely with partners, sponsors and supporters, The Links, Incorporated is focused on creating transformational programming and impacting lives in communities of color.